A mysterious and spine-chilling attraction created by Ripley Entertainment, the new Ripley’s Haunted Adventure - Laser Strike equips daring guests with laser guns to fend off flesh eating monsters. With danger and haunts lurking around every corner, you’ll need to rely on your aim, laser gun, and survival skills to make it out alive. Watch out! You never know what, or who, you’ll run into next. Located near the Boardwalk and Ripley’s Believe It Or Not! Odditorium on Ocean Blvd. Participants must be ages 8 or above to enter. The attraction uses strobe lights, pitch-black areas, state-of-the-art effects, and live actors. Guests are equipped with laser guns featuring unlimited ammo to escape the attraction. For the best experience, groups of 6 are recommended. See who has the top score at the end of your experience. Your survival depends on your skill. Get ready to suit up and enter Ripley’s NEW Haunted Live Action Adventure –LASER STRIKE.Flesh eating monsters lurk around every corner! In this close quarter combat experience, your laser gun and your aim will be your only method of escape. Strike all monsters fast to survive! Equipped with the latest in laser gun technology and modeled after Bullpup Battle Rifles, each rifle has a laser site and keeps score of all success hits on monsters throughout the house in this close quarter combat adventure. 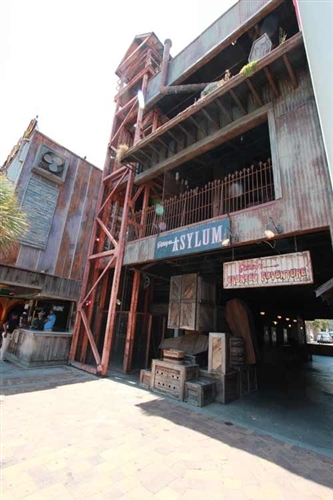 Take two floors and more than 3000 feet of Haunted Laser Action involving more LIVE ACTORS than ever consistently in the Strike Zone, the addition of new state of the art animatronics, sound and lighting and this is an experience you will never forget. The mayhem comes at you from all sides. For the best experience, groups of 6 are recommended. However, a group of 8 may be accommodated. The minimum age requirement has been raised to 8 years old due to monster interaction and the intensity of the house. It is fun, but it is scary! Be prepared! What is the age restriction for the attraction? Yes. 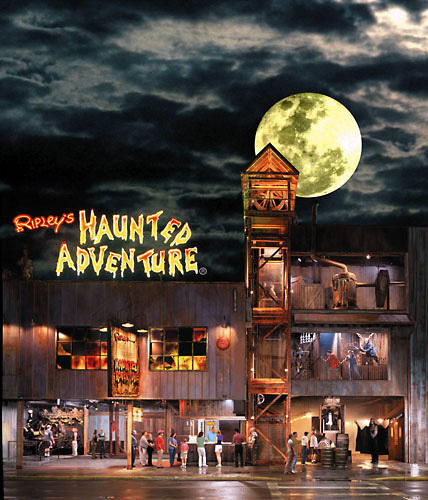 Guests must be 6 years of age or older in order to enter Ripley’s Haunted Adventure. While there is a minimum age limit of 6 years old, parents should note that the attraction leverages frightening themes, strobe lights, pitch-black darkness, special effects, live actors in costume, and other terrifying elements throughout the entire attraction. What are the hours of operation for the haunted house? 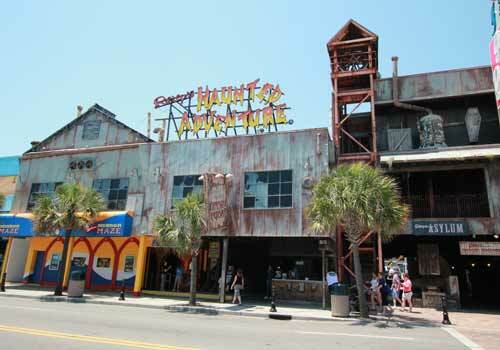 Ripley’s Haunted Adventure in Myrtle Beach is open from 12PM to 12AM daily.